The National Security Agency’s mass collection of telephone data unconstitutional, Federal District Judge Richard Leon has ruled. Judge Richard Leon said the NSA’s practice was an “arbitrary invasion”. The White House dismissed the suggestion Edward Snowden receive amnesty if he stopped leaking documents. 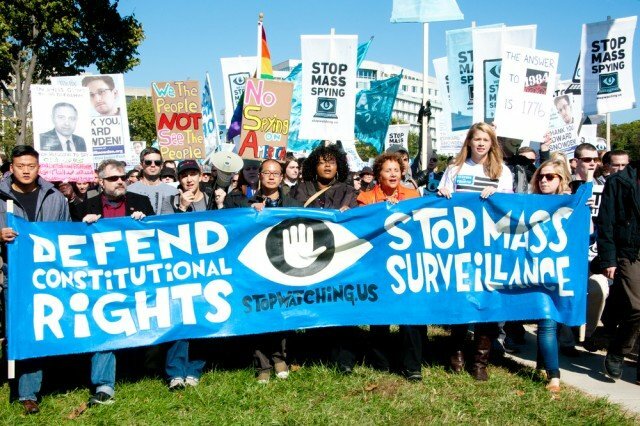 In his ruling in a Washington DC federal court on Monday, Richard Leon called the NSA’s surveillance programme “indiscriminate” and an “almost Orwellian technology that enables the government to store and analyze the phone metadata of every telephone user in the United States”. The NSA had ordered Verizon – one of the largest phone companies in the US – to disclose to it metadata, including telephone numbers, calling card numbers and the serial numbers of phones, of millions of calls it processes in which at least one party is in the US. Judge Richard Leon ruled the plaintiffs had demonstrated “a substantial likelihood of success on the merits of their Fourth Amendment claim and that they will suffer irreparable harm absent… relief”, referring to the clause in the US constitution that bars unreasonable search and seizure by the government. Through Glenn Greenwald, the former Guardian journalist with whom he has close ties, Edward Snowden issued a statement hailing the ruling. “I acted on my belief that the NSA’s mass surveillance programs would not withstand a constitutional challenge, and that the American public deserved a chance to see these issues determined by open courts,” Edward Snowden wrote, according to the New York Times. “Today, a secret program authorized by a secret court was, when exposed to the light of day, found to violate Americans’ rights,” he added.